GoPro came to the fore after launching the original and most successful range of portable cameras back in 2005. Despite being designed for adventurous travellers and fans of extreme sports, GoPro quickly became the icon for the growing selfie trend, simultaneously representing the idea that consumer photography had broken free from the limitations posed by the natural environment. Theirs was a camera that could go anywhere and shoot anything. And everyone was loving it, from teenagers taking selfies with friends to surfers and skiers eager to watch extreme experiences back a second time or share them online. It could be argued that GoPro’s main customer base slowly grew apart from the original intentions of the company. When you think about it, the rise of selfie sticks and photo-tourism couldn’t be further from the action photography GoPro was designed for. But hey, that’s hardly anything to complain about. In fact, appealing to these two burgeoning markets simultaneously saw GoPro rapidly become a household name and a tech must-have. So much so that in June 2014 the company went public. But after a hot IPO with trading starting at $24 per share, the markets grew more sceptical and GoPro shares have since sold for anything from $85 to $8.62. Alongside the rise of GoPro, another forward-looking industry was slowly beginning to take shape. 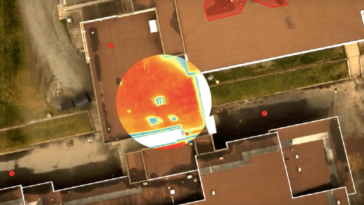 Consumer drones were starting to move from science fiction into reality, and several manufacturers realized there was a potential market for aerial photography – If the price was right. One of these manufacturers was the now industry leader DJI. And part of making the price right was to concentrate on building a flying device capable of carrying a camera. 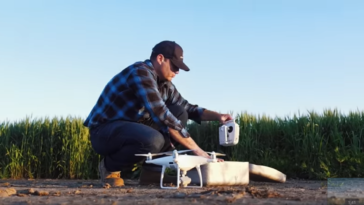 Instead of spending time, money, and effort developing cameras to work with their drones, companies like DJI instead designed drones compatible with GoPro cameras. The first example of this trend was DJI’s original Phantom quadcopter, launched in January 2013. Flying with the established GoPro was a marker of quality, but it also offered the advantage of getting new drones to market faster. 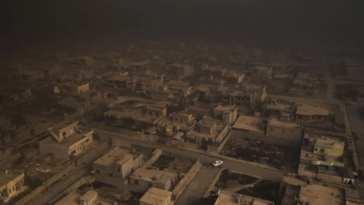 The two companies developed a mutually beneficial relationship: Perhaps out of necessity, in 2014 DJI encouraged its customers to use GoPros to capture aerial footage. While GoPro returned the favor and shared the Chinese manufacturer’s best drone videos with its growing community. The two were even in talks to jointly produce a drone. And that was just the start of GoPro’s unique relationship with the consumer drone industry. Plenty of other manufacturers followed DJI’s lead. 3DR, Parrot, Walkera, Yuneec, Hexo+, AirDog, Staaker… you name it, they’ve designed a drone with GoPro in mind. The consumer drone market is predicted to grow exponentially over the next five years. New technology is emerging all the time, and plenty of companies are setting up intent on grabbing a slice of the pie. And by adopting GoPro as the camera of choice, many of these startups are inadvertently tapping into new markets. Drones have in many ways become the ultimate GoPro accessory; it’s not the other way around. We spoke to OJ Sealand, CEO at Staaker, one of the most recent manufacturers to adopt GoPro as its camera of choice. 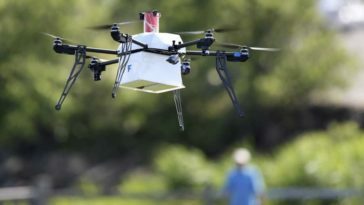 His comments were not on the whole surprising, but did outline the realities faced by most startups in the consumer drone industry. Here Sealand is hinting at the importance of software in the consumer market, something quickly becoming the main differentiation between many striving competitors. And that really is the bottom line. GoPro does cameras so well, so why try to compete when you can harness its popularity? Fast forward to 2016 and suddenly the picture isn’t looking so rosy for GoPro. The company made a loss in the fourth quarter of 2015, while sales and revenue have been steadily falling throughout this year. Concerns over the sustainability of a company intently focused on a photography wearables have been voiced by shareholders. In a market where consumers are beginning to favor smartphones for taking pictures on the go, sales have fallen and GoPro has even had to cut around 10% of its staff. On the flip side, the drone industry is becoming less and less reliant on GoPro for photography expertise. 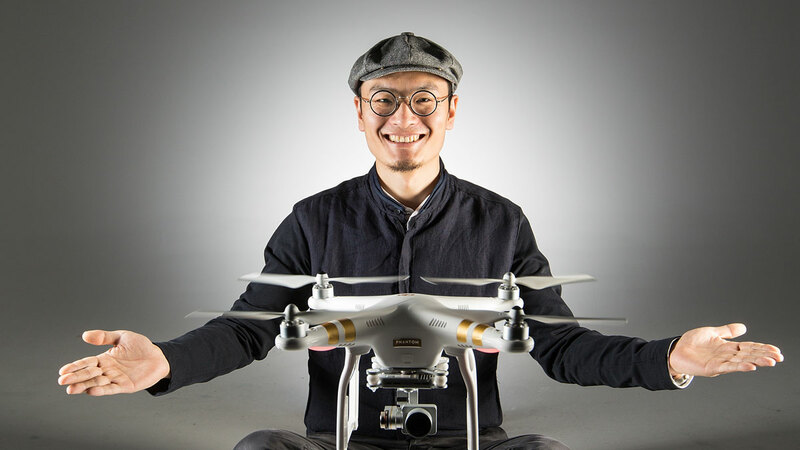 Major players like DJI and Yuneec are now producing their own high-quality cameras, and ambitious startups like Lily are opting for built-in drones without passing on the expense of buying a new GoPro to customers. In short, the industry has moved on, and consumer confidence no longer requires the guarantee of quality that GoPro provides. The Karma – GoPro’s Wildcard? In this climate it was no real surprise when, in December 2015, GoPro announced it would be bringing its own drone to market: The Karma. After joint plans with DJI had fallen apart, and with sales and shareholder confidence slumping, it seemed like a pretty smart move. On paper, the Karma would have a camera to match anything else on the market, while GoPro’s purchase of two video editing startups would help to produce a software package to rival the likes of DJI. On top of this, it’s ironic that despite the widespread adoption of GoPro action cameras across the consumer drone industry, we are yet to see one manufacturer really take the action aerial photography sector by storm. Although there are plenty of contenders such as AirDog, Staaker, Hexo +, and the delayed Lily, none has yet produced a drone capable of dominating the sector. Perhaps therein lies a problem for GoPro execs assuming that the Karma will provide the flood of sales needed to turn the company around. It could be that there simply isn’t enough demand for a flying action cam. But what GoPro does have is a loyal, global community of customers, who may just like the idea of getting the ultimate flying accessory for their camera. GoPro’s Karma has quickly become the most eagerly anticipated drone in the consumer industry. We even reported on hints on what it could look like. Although the company has no prior experience producing anything other than cameras, people are expecting big things; perhaps even a drone to take the mainstream market by storm. There have been plenty of ‘leaks‘. Official promotional videos from the company promise much but give away little. 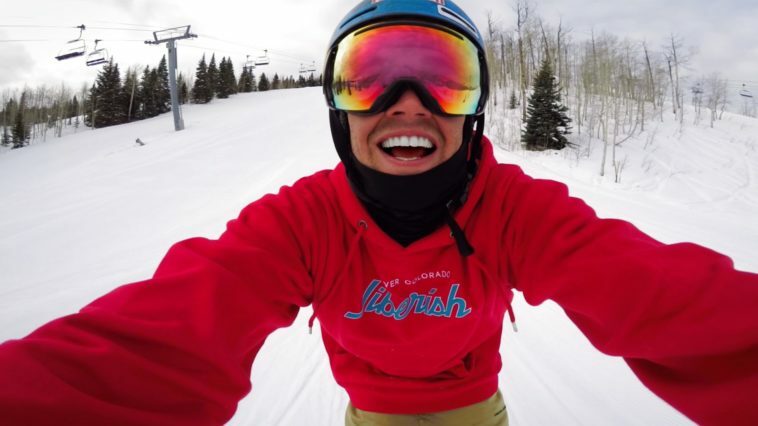 The most famous of which was completely shot with a Karma, featured snowboarder Bobby Brown gliding down a mountain, and offered the hint of a suggestion the Karma could take off on its own from the hands of the user. To be honest, we don’t have a clue what the Karma will be able to do. To read too much into these videos and other rumors would be a mistake. 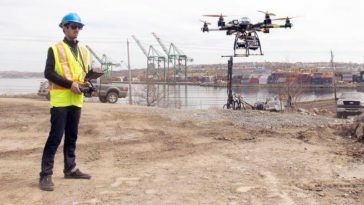 After all, a year is a long time in the drone industry, and developments are moving so fast that features such as ‘Follow Me’ – once the central selling point of many UAVs – have quickly become the norm. How exactly the Karma will blow the competition out of the water remains to be seen, especially when the main limitations facing the current crop of drones, let alone a flying action cam, continue to be battery life and obstacle avoidance. Begin to solve these problems and GoPro would certainly be onto a winner. One final twist in the tale came in the last-minute delay of the Karma, which was initially expected in time for summer 2016. Everything appeared to be in place for the drone’s launch – indeed, GoPro CEO Nick Woodman said that the Karma would be “much more than a drone”, and would come with “differentiated features” – but for one reason or another the company decided to push back the release date until the festive season. Maybe the Karma’s developers have further features to incorporate to ensure their drone is competitive, or perhaps it’s just a case of maximizing the festive season spending rush at a time when sales are falling. So how will GoPro’s previous relationship with the drone industry affect the release of the Karma? On the one hand, the company has given a leg up to many of the companies currently making a fortune in the growing consumer market. But on the other, without a quality, reputable camera to draw in new consumers, perhaps this is an industry that wouldn’t be where it is without the brilliance of GoPro. Whether the company will be competitive is anyone’s guess. Of course, it depends on the end product. If the Karma is an eye-catching drone packed with industry-leading features at a decent price, GoPro may well appeal to a powerful coalition of loyal drone enthusiasts and general selfie fans too intimidated by the idea of operating one of DJI’s UAVs. GoPro’s Karma could even render some of its competitors obsolete. However, release a drone similar in specs to say, the AirDog, and the Karma could be the final nail in the coffin. The world is waiting. After all of the hype, the delays, and the tangled relationship this company has long had with the drone industry, it’s time to deliver. As a 3DR user, I’m interested to see how the Karma stacks up. I think it’s fair to say that karma would need to be a complete home run in order to carry GoPro. Honestly I think they’re chasing a drone market that will leapfrog them in a matter of months after the release. Seems they could have used all of that cash to put their heads together and make the next trend beyond drones. I don’t claim to know what it is, but I think they had the opportunity. Now they’re scrambling. Thanks for the comment, Daniel. We agree, Karma would need to really to be a hit to jump into the game effectively. Stay tuned for a follow up post on the Karma coming soon. Thanks again for stopping by. Well…Very nice. Thanks for share this post. Interesting take on this. I felt GoPro’s dive into drones came a bit late (hope it’s not too late). It could be interesting to watch if GoPro Karma gives a tough fight to Phantom series since they are doing extremely well and popular among drone fanatics. Very good Malek…great review. The videos are also very good. Thanks for sharing.